Apparently another bug is now being experienced by some iOS 8 users. The new issue is on Bluetooth connection. iPhone 6 users and iOS 8 upgraded iPhone users, are having issues when pairing their iDevice with their car's builtin audio system. Although their handsets can connect to Bluetooth, the device can't play music via speakers. Another issue is some are complaining about getting disconnected when receiving incoming calls while their iDevice is paired via Bluetooth. Apple is already aware of the problem and the fix through "iOS 8.1 Update" will be rolled out soon. The update is targeted to be released on October 20. Meanwhile, you can try this work-around that is mentioned in MacRumors forum. 1. Log out of iCloud without interrupting the already connected Bluetooth devices. 2. Select "Reset All Settings" and/or "Reset Network Settings" from the iPhone. 3. 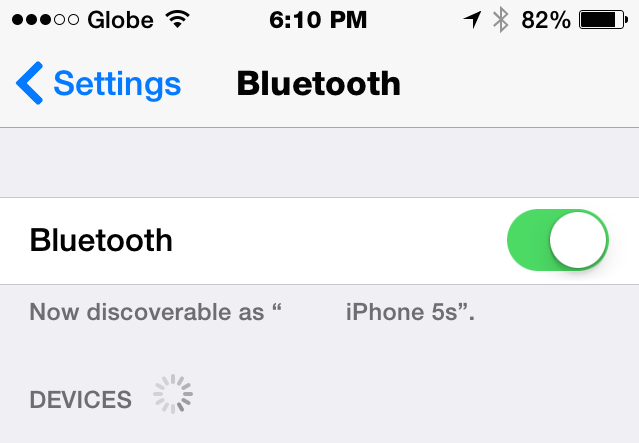 Restart and re-connect the device with the Bluetooth device. 4. Log back into iCloud. However be cautious of this "Reset All Settings" option because some users have reported that they lost their iCloud data after doing a reset. So if your using the iCloud drive to store your data in the cloud, I suggest you avoid this work-around.